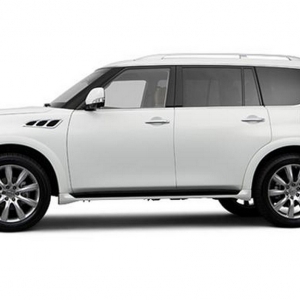 The Infiniti QX is the luxury Sports Utility Vehicle from the house of Nissan Infiniti group. It is exclusively sold in regions of North America. The first model to come out was in the year 1997. 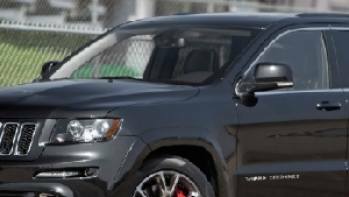 It was a very mid-sized SUV featuring 4-wheeled drive system, unique styling, and more upscaled interior. 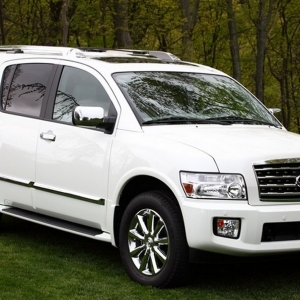 This QX4 model was a vague replica of Nissan pathfinder. However, it used to have a larger appearance. Moreover, the ground clearance of this model used to be 21 mm. Initially, the car was fitted with VG series engine. 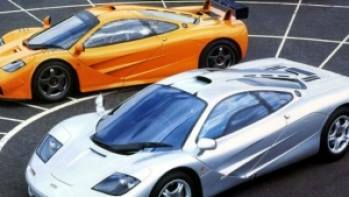 However, it was in the year 2001 when engine of the old model was updated from VG series to VQ series. 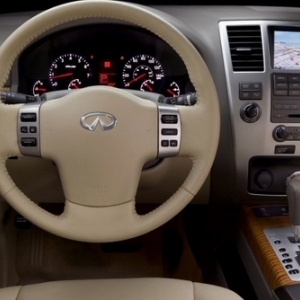 The following year experienced a newly designed Infiniti QX. This new version came to be known as QX4. 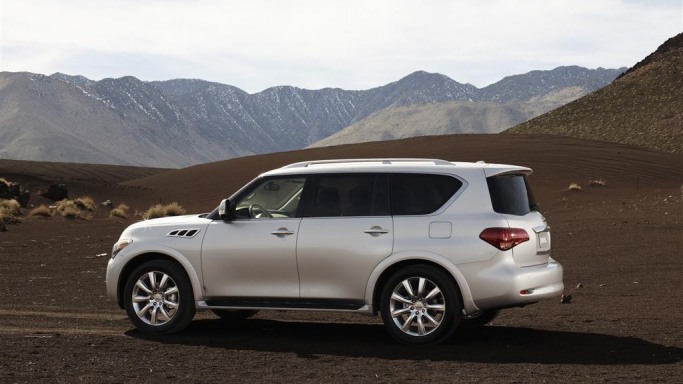 Since then, many new versions of the Infiniti QX have hit the road. 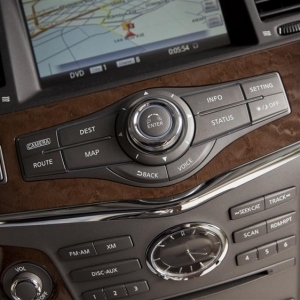 The latest version to hit the road is Infiniti QX56. 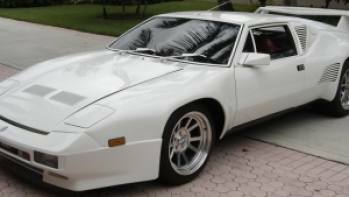 Starting at a price range of $60,650 – $63,750. 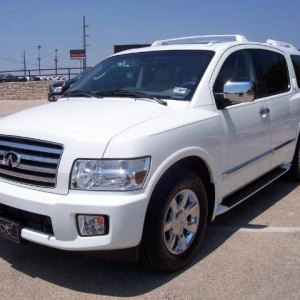 Assembled at Yukuhashi, Japan, the Infiniti QX56 is much larger in appearance with rugged Body-On-Frame designed structure. The interior of this lavish SUV features 3-dimensional gauges, leather upholstery, leather door inserts, and 4-spoke steering wheels. The presence of HD entertainment system (with Bose speakers) allows playing of 2 video files on two separates screens at a time. 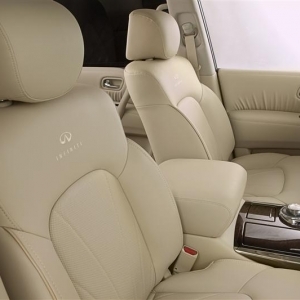 The seating capacity of QX56 is 8 (including the driver). Three rows of seating makes QX56 a complete family excursion car, while the excellent leg space makes traveling even more comfortable. 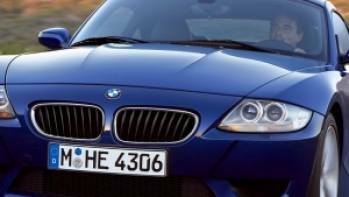 The car is fitted with a climate-controllable air-conditioning system. However, the 3rd row features power-reclining and folding option. Some other interior features include power-adjustable front seats, heated steering wheel, Bluetooth and USB input facility on the CD stereo, front head restraints, and advanced anti-locking brake system, front airbags for drivers and seat mounted side airbags for passengers in the rear. The car also features Hill Start Assist and traction control to provide optimum level of safety during riding. 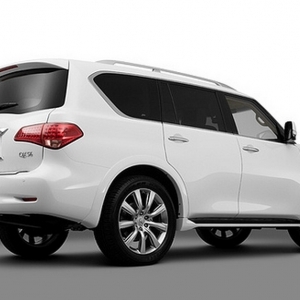 The Infiniti QX56 features rugged and much longer exterior appearance than it's predecessors. 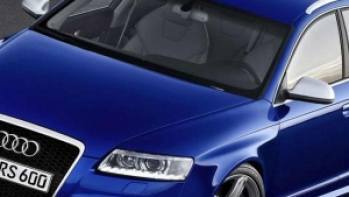 The hood is adorned by a massive grille that dwarfs the fog lamps and headlights. 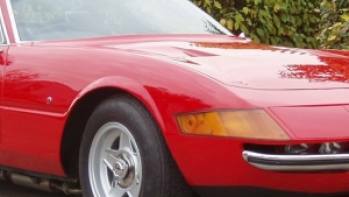 Three well-polished chrome petals sit just above the front fenders. Exterior description will remain incomplete without mentioning about the wheel style. This luxury SUV is fitted with standard 20 " alloy wheels. The adaptive headlights (optional and available with selected models) are fitted with power washers. The side mirrors are power foldable along with additional turn-signal indicating feature. Advanced models feature 22" alloy wheel and motion controllable hydraulic body.